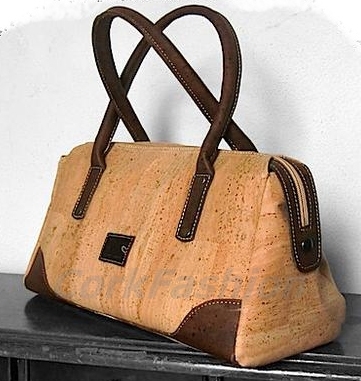 Cork fashion is proud to present our collection of gorgeous handcrafted products made of selected cork. Cork from Portuguese Cork Oak trees, simply the best cork in the world. All our products are quality products made by small Portuguese factories, crafted with European quality and style from the finest materials. Products with a natural beauty that is soft and pleasant to touch, lightweight, water and stain resistant, easy to clean and with a long-lasting high-quality finish. We currently ship to most countries. Most orders are processed and shipped within 48-72 hours and should arrive within 1 to 5 business days after shipment (if shipment to a European destination). The payment takes place on a Secure Server. The payment information you provide is protected by the highest standard of encryption technology available on the Internet. (09-13 & 14-18 / 9AM-1PM & 2PM-6PM GMT time).